Book was as described.Bought for a Gen. Ed. class in college.Professor seems to to like the book. 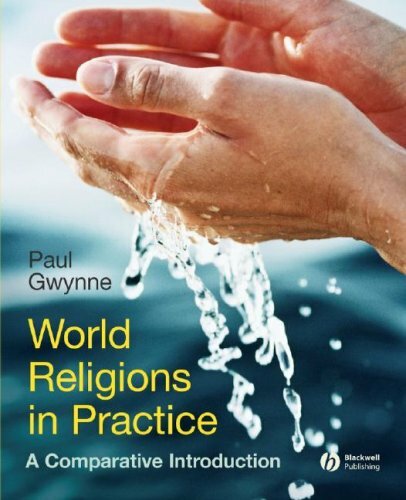 I am taking a Sociology class on religion and this book is easy to read.It gets the point across without going too in depth.Great for someone just being introduced to the many religions in the world. 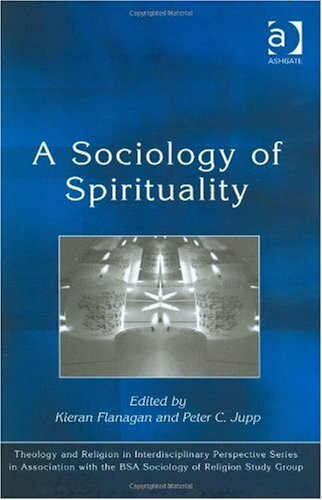 This is really more of a textbook on the sociology of religion than anything else.As such, it is not particularly conducive to summation (too many topics; too much information). However, there are two things worth noting about the contents.First, the book goes to great lengths to look at religion from a global perspective, which I found to be invaluable and informative, especially considering how uncommon it is to do so.The second point is similar - the book doesn't focus on just Christianity or U.S. religion.The book compares, contrasts, and examines all of the major world religions- Christianity, Judaism, Islam, Buddhism, and Hinduism.There isn't really more emphasis on one than another; they pretty much receive equal treatment, which is also unusual. The fact that the book looks at all of the major world religions rather than focusing on just Christianity, which is early on outlined as the book's objective (a global perspective), is refreshing and likely very informative for students in the U.S. who typically are somewhat ignorant of life outside of their country. It is also nice that the author, Lester Kurtz, reveals his personal religious biases to begin with.His wife and kids are Jewish, but as a family they predominantly worship at Quaker worship services.His interest in the Quaker religion is revealed, to a degree, by his treatment of Ghandi.Not only is the treatment quite extensive, but Ghandi is idolized for his peaceful tactics (not that I disagree with this approach, I just found it revealing of the author's biases).Also, the final chapter, though well-written and not particularly overt, is definitely Kurtz's attempt to spread a message of peace.He doesn't necessarily attack religions for their history of justifying violence, but he definitely hopes this history is nearing its end. 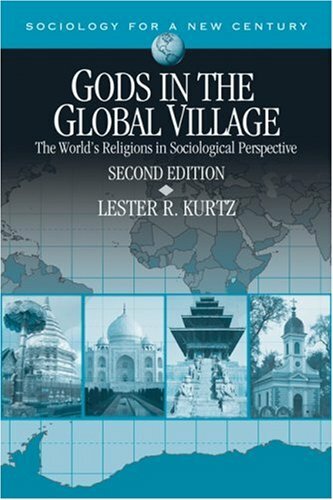 Despite being well-written and offering an informative global perspective, there are a couple of problems with the book.First, there is only minimal treatment of secularization.Lacking is a discussion of neo-secularization (Chaves 1994), though admittedly much of this was happening while Kurtz was writing the book.Also, though the debate continues, there is definitely much more evidence for the existence of secularization in the U.S. than is presented in the text. The book also gives the impression that it isn't possible to have values/morals without religion.I'm guessing this isn't the intention of the author as he tends to be fairly objective, but it is implied in several locations.I also found the author's usage of scripture, the Bible in particular, disturbing.He goes in and out of using the Bible as historical and metaphorical and never specifically states which perspective he is employing at any given point.For instance, Kurtz uses the story of Moses coming to power as the leader of the Children of Israel to make a point about religions generally, but also seems to conclude that the story is historically accurate.Whether he really believes it is or not isn't clear. Finally, the author has a tendency to drift off onto theoretical tangents that at times are more rambling than coherent.These occurrences are few and far between, but when they do happen you find yourself wondering how you arrived where you are. 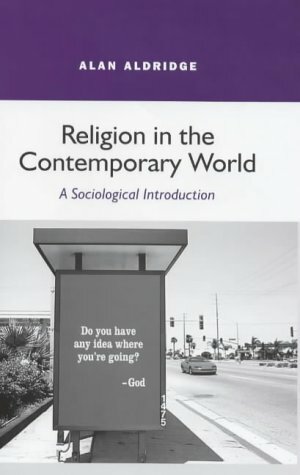 Overall, I highly recommend this book as a text for a course on the sociology of religion.The book is for the most part accurate, well-written, and clear (I know he missed one point with Mormons, but I didn't find many other flaws).The book isn't without its problems, but they are truly minimal compared to the synthesis of a global perspective on religions he has produced in writing this book. Finally! My kind of Sociology of Religion! After the September 11 terrorist attacks against the United States, religious fundamentalism has dominated public debate as never before. Policymakers, educators, and the general public all want to know: Why do fundamentalist movements turn violent? Are fundamentalisms a global threat to human rights, security, and democratic forms of government? 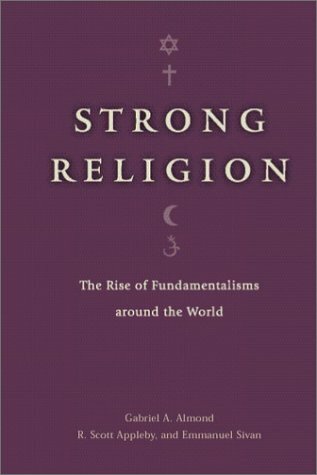 What is the future of fundamentalism? To answer questions like these, Strong Religion draws on the results of the Fundamentalism Project, a decade-long interdisciplinary study of antimodernist, antisecular militant religious movements on five continents and within seven world religious traditions. 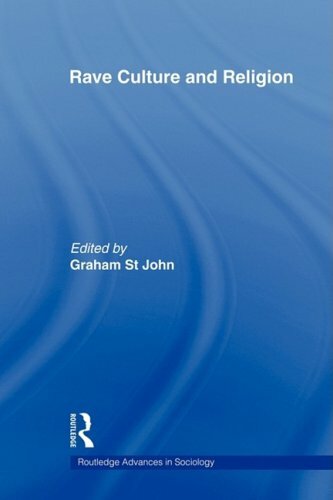 The authors of this study analyze the various social structures, cultural contexts, and political environments in which fundamentalist movements have emerged around the world, from the Islamic Hamas and Hizbullah to the Catholic and Protestant paramilitaries of Northern Ireland, and from the Moral Majority and Christian Coalition of the United States to the Sikh radicals and Hindu nationalists of India. Offering a vividly detailed portrait of the cultures that nourish such movements, Strong Religion opens a much-needed window onto different modes of fundamentalism and identifies the kind of historical events that can trigger them. Some highly respected scholars, like Karen Armstrong and Bernard Lewis, are able to write serious books that are also readable enough to attract a broad audience. But "Strong Religion" is unlikely to have much appeal outside of academic circles. I'm an atheist with a strong interest in religious fundamentalism. So I had high expectations for this book. It does cover a wide cross section of fundamentalist sects, including not only Christian evangelicals, Islamic extremists and radical Jews but also Hindu nationalists, Sikh separatists and even militant Buddhists. I appreciated how this book demonstrated the underlying similarities between these fundamentalist groups and how they all represent a potential threat to modern, secular society as well as religious pluralism and tolerance. But, unfortunately, the book is so full of academic jargon and repetitious examples that I found it a struggle to get through. I was expecting a serious and challenging read. But the consistently dull analysis of structure, organization and methodology caused a very compelling subject to become quite boring. This book accomplishes it's academic goals. But the dry writing style will turn off many readers. Frankly, I couldn't put the book down.Although it is somewhat academic in its organization and writing style, I found it totally engaging.The authors outline the incredible rise and spread of fundamentalism in the 20th century and the similarities and differences among the movement as it is found in the various religions: Hinduism, Christianity, Islam, Judaism, and even Buddhism. Having encountered fundamentalism at different times in my own life, I could relate to the whys and hows of people being pulled into such a movement.The authors do not leave us without hope.By understanding how fundamentalism rises, what the leaders are like, and the stages of such a movement, there are ways that we can work with this to bring these people back into the mainstream.Not easy, but also not impossible. Read more at http://www.gettingtomaybe.com. Essays on Tolerance, Compassion, Wisdom, and Courage. As the twenty-first century begins, tens of millions of people participate in devotions to the spirits called Òrìsà. This book explores the emergence of Òrìsà devotion as a world religion, one of the most remarkable and compelling developments in the history of the human religious quest. Originating among the Yorùbá people of West Africa, the varied traditions that comprise Òrìsà devotion are today found in Africa, the Americas, Asia, Europe, and Australia. The African spirit proved remarkably resilient in the face of the transatlantic slave trade, inspiring the perseverance of African religion wherever its adherents settled in the New World. Among the most significant manifestations of this spirit, Yorùbá religious culture persisted, adapted, and even flourished in the Americas, especially in Brazil and Cuba, where it thrives as Candomblé and Lukumi/Santería, respectively. After the end of slavery in the Americas, the free migrations of Latin American and African practitioners has further spread the religion to places like New York City and Miami. Thousands of African Americans have turned to the religion of their ancestors, as have many other spiritual seekers who are not themselves of African descent. Ifá divination in Nigeria, Candomblé funerary chants in Brazil, the role of music in Yorùbá revivalism in the United States, gender and representational authority in Yorùbá religious culture—these are among the many subjects discussed here by experts from around the world. 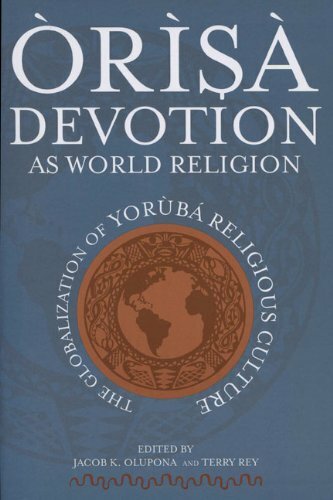 Approaching Òrìsà devotion from diverse vantage points, their collective effort makes this one of the most authoritative texts on Yorùbá religion and a groundbreaking book that heralds this rich, complex, and variegated tradition as one of the world’s great religions. 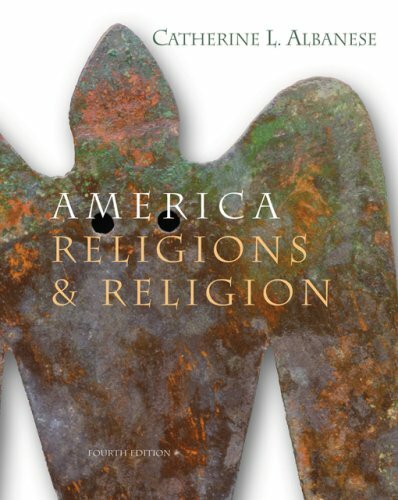 World Religions in Practice introduces five of the world’s great religions – Hinduism, Buddhism, Judaism, Christianity, and Islam – and explores how they are lived and expressed in custom, ritual, and symbol. Includes chapter-by-chapter opening themes and summaries, and will be accompanied by a website at www.blackwellpublishing.com/gwynne featuring additional resources and study questions. I've never read a book where I had to read a paragraph 5 times and still don't even know what the heck it's trying to say. Author needs to make it easier to read for those who have no religious background whatsoever at all, especially for those who have no interest in religion. I'm only reading it b/c it's a req'd text for a class. The professor who teaches this class is also just as BORING! No wonder he chose this book. I imagine that if you're looking to buy this book it's because it's required for a course. It's a passable survey of religion in America. The course I bought it for was supplemented by a great deal of primary source material, which was much more helpful than this textbook. My biggest beef with the book was the price: it was nearly 80 dollars for a book that is incredibly slim on pages and very, very general. This to me highlights the problem in the textbook market: pricing is done by letting guinea pigs loose in a room with numbers on the floor. The number they poop on is the price assigned. I had to purchase this book for an American Religion Class.You can tell where the updated editions are written by the more-cogent writing.In general, the writting seems verbose and the author seems to be showcasing an extensive vocabulary rather than an exercise in transfering information. The information is disjointed; a difficult read. This is NOT a book you will read for casual reading.I love to read, but this is a cure for insomnia.I went so far as to post that I knew what I'de be doing in the afterlife in the 7th ring of hell(Reading this book over and over again#. If possible and time permits, take a different religion class if this is required reading #This is not sour grapes, I read the entire book and received an 'A' for the course). 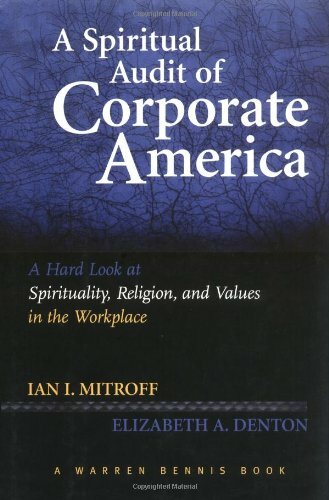 I used this book for an undergraduate course.The prose is easy to read.Sometimes sections seem disjointed,, but overall a good textbook.If you want to know how American religion came to be where it is today, this book will explain it all. Religion and belief influence many areas of all our lives. 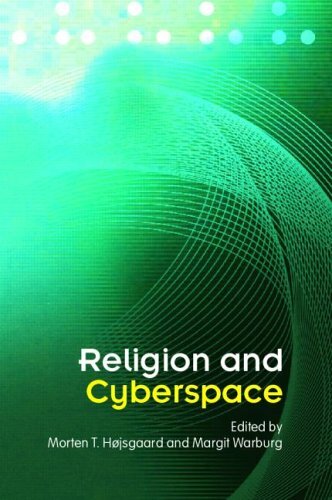 Comprehensive and clear, this book gives a thoroughly up-to-date overview of religion in contemporary society. 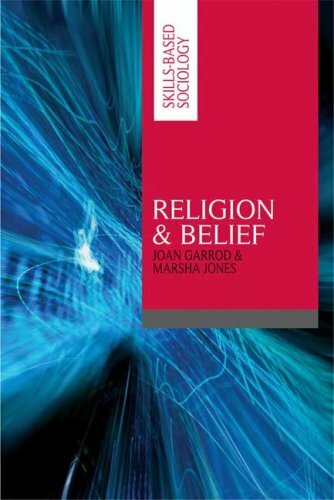 With great pedagogical features to encourage students' learning and engagement with the subject, this is a key text for students of the sociology of religion. 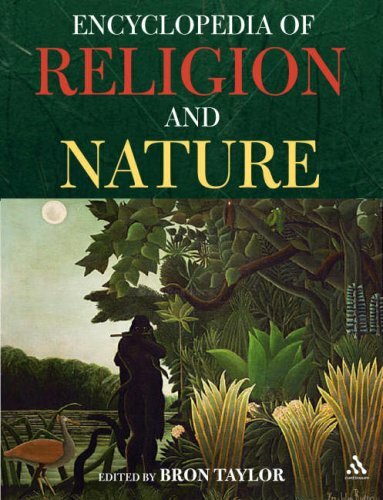 This is not your standard "what does religion X think about the natural world and humans" kind of book. After the Introduction, the Reader's Guide suggests reading these five entries first: Environmental Ethics, Religious Studies and Environmental Concern, Ecology and Religion, Ecological Anthropology, and Social Science on Religion and Nature. I think that gives a good idea of the focus of the work. Individual entries run from Edward Abbey to Zulu War Rituals, with most including cross-references and additional reading lists. Despite some reservations, I absolutely delight in reading these volumes and look forward to years of enjoyment from them and from other works they lead me to. I write this despite being an atheist, but one who believes that if anything could right our relationship with the world we live it, it would be a change in attitude not science or new technology. My biggest problem is the physical size and weight of the two volumes. They'd be great on a library's reference shelf, but they're tough on the forearms in a chair or the chest when reading in bed, and aren't something you'd want to cart around to read on your commute. Every entry I've tried so far has been very readable, some even literary and poetic. As an individual, I wish this came in a more usable set of more volumes with fewer pages. There are some topics which would seem very appropriate entry subjects which aren't covered such as biotechnology, cloning, and energy issues especially nuclear power. Perhaps they're mentioned in broader topics but they don't have their own entries. The entries I've read on individuals are written by supporters. One doesn't get any sense of the controversies and range of opinion surrounding the ideas and works of Ed Abbey and Carol Adams, to take a couple early examples. I can see the value of such a positive approach as a first introduction to someone's work; just be aware you're not getting a complete evaluation or objective opinion in cases like these. I happened to get these hardcovers at a great price, much less than the price of the coming paperback edition, but I'd consider these a bargain at full price. 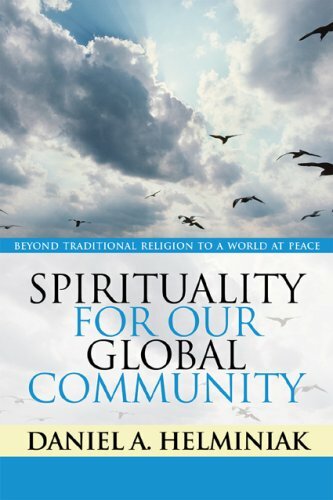 This book is so important for the person who has moved beyond the dogma of the various religions but still is drawn to the spiritual life.Daniel Helminiak puts into words what many of us are experiencing these days as we see the violence resulting from religious clashes while we long for a way to celebrate and honor our common humanity. Helminiak provides a blueprint for a way to move beyond our differences but remain a spiritual people whether we are believers or non-believers. In his usual well-researched and well-presented way, Daniel Helminiak has given us a more accessible elucidation of spirituality than his The Human Core of Spirituality.And further, he has pointed the way toward creating a more sane world by acknowledging and living out the spirituality common to all of us as human beings.I highly recommend reading this book. 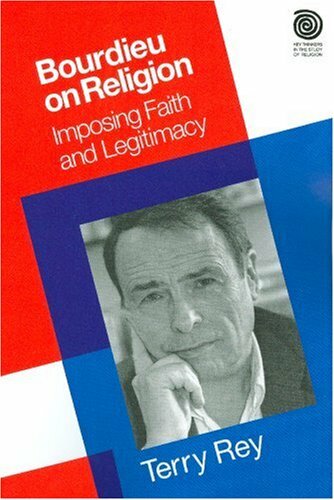 I'd recommend this book especially to those who have read The God Delusion (or a similar "anti religious" book) and who are bent on rejecting anything religious or spiritual. Daniel Helminiak makes a strong case to take a more calibrated approach. Yes, we need to see through the religious delusions and doctrines. But we also ought to be careful not to throw out the baby with the bath water--the baby is our human spiritual capacity, and it is not the same thing as the bath water of religion and holy books. We are paying a huge price for our relentless materialistic pursuits in a secular society - our isolation and loneliness. I agree with Daniel that Pluralistic tolerance is a flimsy screen for protecting community. Daniel grew up in a Christian integrated community and remembers the security and sense of belonging. He invites readers to notice that we do have a spiritual core in our minds. It manifests as flashes of insight, intuition...the "inner voice." Our inner life is very real. Spirituality = personal growth. Why attribute something to other-worldly entities and powers when there is a simpler and better explanation? It is not the existence of super natural beings but the validity of our insights that matters. "Regardless of the truth or falsehood of metaphysical claims, we still have to live out our lives together here on planet Earth." This emphasis is the base for building our new global community. The extraordinary part about this book is its simple, rational language. It works even for us jaded types. 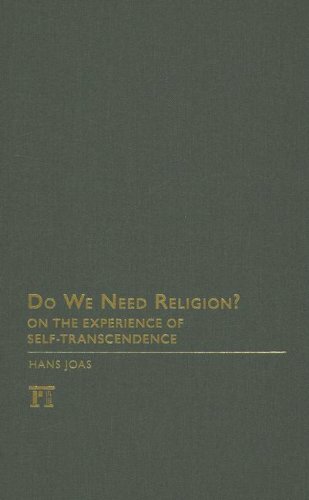 This book is tremendously valuable.It is a powerful synthesis of many of the ideas Helminiak has shared before, but it goes well beyond the limits of the more focused work on theology, psychology and meditation that have been the subjects of his previous writings.The most important thing about this book is that it does indeed provide a reason to hope that if we can indeed begin to develop the built-in spiritual potential that comes with being human, we might indeed be able to go beyond the divisive and destructive effects of fanatical and fundamentalist religions that threaten our world. Years ago, I abandoned the destructive criticism that I had learned in graduate school and began appraisal of any work by asking, what has the author turned me onto that I had previously not entertained.Helminiak has given me a new appreciation for the meaning of spirituality and its possible contribution to developing community and peace in our pluralistic world.That may seem quixotic to some readers.Helminiak is only like Don Quixote in that he longs for community as he had experienced it in the past.Instead of turning backward, as Quixote did, he finds direction in the contemporary interpretation of spirituality by Bernard Lonergan.That spirituality grows out of the ability of human beings to transcend themselves.By that, Helminiak and Lonergan mean that we become static by being controlled by biological make-up and restraints built into our psyche.While these factors are important for development, they are also limiting, and we become fully human by transcending them. Helminiak contends that both traditional religious faith and secular materialistic ideology contribute to the lack of community and spiritual fulfillment in our pluralistic postmodern world.He contends that spirituality arises out of human being in the world.Since all humans share it, it can lay a foundation for community, unlike religions with their doctrinal and metaphysical differences or social systems that are directed toward conflicting ends. He confirms that his approach to spirituality is merely one approach and requests that he be given an open hearing. Those who accept his challenge will find themselves richly rewarded. Before I read this book, I had read some of Helminiak's articles and was delighted to find someone working on the same issue I had been pursuing for years. Like him, I had been seeking a spirituality that speaks to life in the secular world where most of us live most of the time.Even though we share a common quest and similarities in the way we approach spirituality in the world, I found myself challenging some of his affirmations. For instance, his contention that Lonergan's four-part structure of the human spirit is adequate for all spirituality.However, when I became fully open to Helminiak's interpretation of spirituality, I found myself transcending my previous interpretation of spirituality and began to see promising new directions for understanding and pursing spirituality in the world.That's what I call a good read! Hopkins contends that the lives of enslaved African Americans were the foundational source of liberating faith and practice for African Americans today. Down, Up, and Over draws on their religious experience, and the example of their faith and witness, to develop a constructive theology of liberation. African American belief structures and hope practices blossom from the black folk's religious encounters with God, Hopkins contends. The first half of his ambitious work reconstructs the cultural matrix of African American religion--a total way of life formed by Protestantism, American culture, and the institution of slavery (16191865)--in which racial identities developed. Whites from Europe and blacks from Africa arrived with specific, differing views of God, faith, practice, and humanity. Hopkins recreates their worldviews and how white theology sought to remake African Americans into naturally inferior beings divinely ordained into subservience. The counter voice of enslaved blacks begets the Spirit of Liberation. Tracking that Spirit, Hopkins crafts an explicit black theology of the Spirit of Liberation for us (God, chapter 4), with us (Jesus, chapter 5), and in us (human purpose, chapter 6). Out of the crucible of slavery emerge the lineaments of a constructive religious vision: the constitution of a new self and a divinely purposed liberation toward full spiritual and material humanity. 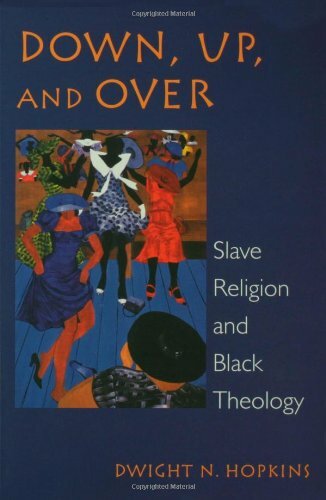 "Down, Up, and Over" traces the complex relationship between White Protestantism, Black Slave Christianity, and post-modern Black Liberation Theology. Though Dwight Hopkins' political and theological stances may not always resonate with all readers, his historical culling of and comparison between Black and White American Christianity is fascinating. Regardless of one's political and/or theological positioning, it would be difficult to read this work without an increasing empathy for what Black Americans endured from their White Christian "brothers and sisters." Hopkins' research into primary sources offers a detailed examination of what enslaved African Americans endured and believed. His passionate presentation transports readers into the very soul and shoes of their forefathers and mothers of the faith. The overall message of the book can lead anyone with an open mind and sensitive heart to a greater understanding of the historic African American Christian experience and current African American Christian theology. The reader need not agree with all the political and theological conclusions in order to benefit from the contextual and cultural explanation of modern Black theology based upon past Black spirituality. Reviewer: Robert W. Kellemen, Ph.D. is the author of "Soul Physicians," "Spiritual Friends," and "Beyond the Suffering: Embracing the Legacy of African American Soul Care and Spiritual Direction." internally by psychological demons created by larger macrostructures circumscribing attempts to live a daily micro-existence of full spiritual and material humanity." In the summer and fall of 1998, ultranationalist Polish Catholics erected hundreds of crosses outside Auschwitz, setting off a fierce debate that pitted Catholics and Jews against one another. While this controversy had ramifications that extended well beyond Poland’s borders, Geneviève Zubrzycki sees it as a particularly crucial moment in the development of post-Communist Poland’s statehood and its changing relationship to Catholicism. 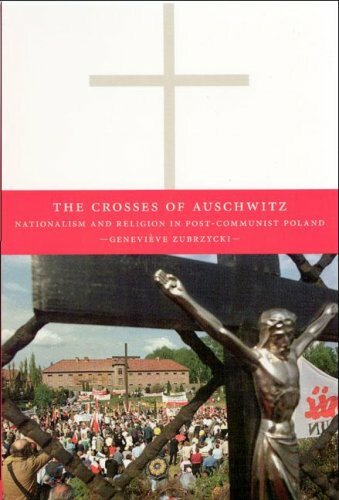 In The Crosses of Auschwitz, Zubrzycki skillfully demonstrates how this episode crystallized latent social conflicts regarding the significance of Catholicism in defining “Polishness” and the role of anti-Semitism in the construction of a new Polish identity. Since the fall of Communism, the binding that has held Polish identity and Catholicism together has begun to erode, creating unease among ultranationalists. Within their construction of Polish identity also exists pride in the Polish people’s long history of suffering. For the ultranationalists, then, the crosses at Auschwitz were not only symbols of their ethno-Catholic vision, but also an attempt to lay claim to what they perceived was a Jewish monopoly over martyrdom. This gripping account of the emotional and aesthetic aspects of the scene of the crosses at Auschwitz offers profound insights into what Polishness is today and what it may become. The author presents a well-researched, highly nuanced "reading" of events surrounding the "war of the crosses" at Auschwitz. Dr. Piotr Sztompka, Poland's leading sociologist, gave it a rave review. Is the author biased? Read it and decide for yourself! Zubrzycki's work is excellent in that it provides an in-depth summary of the situations and contentions relative to the Auschwitz Crosses, the mindsets of both Poles and Jews, and various useful historical information. One learns that the Polish nobility was one of the largest in Europe, comprising 10-13% of the total population. (p. 37). Every ninth adult Pole had someone in Auschwitz. (p. 136). Unfortunately, Zubrzycki's statements often lack analytic depth, and exhibit a Judeocentric bias.She buys into the premise that the Jedwabne "revelation" has transformed Poles from victims to victimizers. (p. xiii). How is Jedwabne, etc. supposed to erase the fact of 2-3 million non-Jewish Poles, including half the intelligentsia, murdered by the Germans?She presents the arguments about the "de-Polonization" and "de-Judaization" of Auschwitz as symmetrical, when they are not--considering the vast volumes of Judeocentric educational and media materials worldwide which have all but buried the memory of the non-Jewish victims of the Nazis. She dwells on the fact that Poles saw Jews as "the Other" (p. 35), forgetting that Jews also considered themselves as "the Other" relative to Poles, and acted accordingly. She says that RADIO MARYJA "promotes a culture of fear and despair." (p. 167). As a long-time listener, I find this amusing. Instead of just mentioning the fact that some Poles think of Jews as returning to Poland to exploit her, why not inform the reader that certain Jewish organizations are seeking massive tribute ("reparations") payments to the tune of many tens of billions of dollars? And, instead of dwelling on the fact that some Poles associate Jews with supranationalism, atheism, Communism, etc., Zubrzycki should be candid about the fact that Jews were and are in fact strongly overrepresented in these endeavors. As for the postwar Communist security forces (UB--Bezpieka), responsible for murdering tens of thousands of Poles, its leadership was about 35% Jewish, in a nation where Jews constituted less than 1% of the general population. Zubrzycki uncritically mentions the argument that Auschwitz 1 and Birkenau cannot be separated, as proposed by the Polish compromise, because the entire area contains Jewish ashes. (p. 175). Considering the fact that the ashes from the Birkenau crematories were usually dumped in the Sola River, a tributary of the Vistula, and we cannot know how far downstream they went, should the entire Vistula Basin therefore be declared a Cross-free zone? Some Jews have complained that they are not free to pray at Auschwitz because Christian symbols, to them, are idolatry. (p. 173). Considering the fact that we are supposed to be living in a pluralistic time in which all religions are welcome, how can such decidedly pre-ecumenical, in fact Old-Testament, thinking be condoned?Some Jews consider the Cross at Auschwitz objectionable because it reminds them of persecution. (p. 178). Considering the fact that just about every religion (including Judaism) has, at one time or other, persecuted other religions, isn't such reasoning a bit self-righteous?